Fire Erupts At Major Tibetan Monastery; No Injuries Reported - Integration Through Media ....! (VOA): A large fire broke out Saturday at the Jokhang monastery in Tibet, raising fears of severe damage to a 1,300-year-old religious site that's considered the spiritual heart of Tibetan Buddhism. 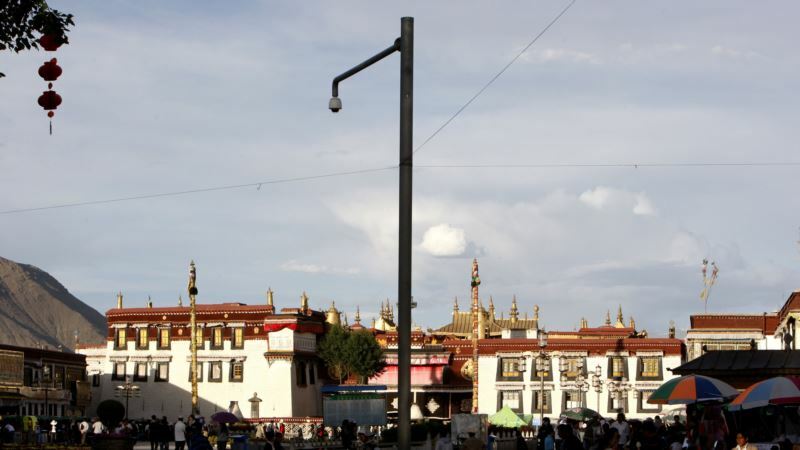 Jokhang, located in the Tibetan capital of Lhasa, caught fire at 6:40 p.m. before it was put out, according to a short report in the state-run Tibetan Daily. No injuries were reported. Video on Chinese social media showed a roof in the monastery complex consumed by large flames that were visible from hundreds of meters (yards) away. The cause of the fire was not immediately known. Early reports of the blaze in Chinese state-run media did not give details and many social media posts discussing the fire appeared to be quickly censored. News of major incidents in Tibet, a restive and politically sensitive region, are often tightly controlled in China. The extent of the fire damage was also unknown. Jokhang is listed as a UNESCO World Heritage Site and contains numerous sculptures and religious paintings in a vast complex covering more than 6 acres. Many Tibetans are celebrating Losar, the New Year festival that began Friday.